Good morning! As I continue to sort through the hundreds of photos that I took at International Quilt Festival last week, I discovered that I sometimes failed to capture the category in which the quilt competed. A big duh on my part! Note to self: Make sure you get that next year. 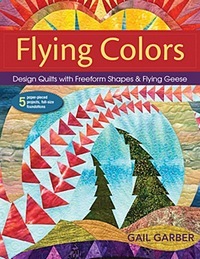 Below is an assortment of traditional, or traditional with a twist quilts that I particularly enjoyed. Sadly, I can’t always identify the category. I first met Marilyn Badger, in September 2013 when I was fortunate to teach classes in beautiful St. George, Utah. 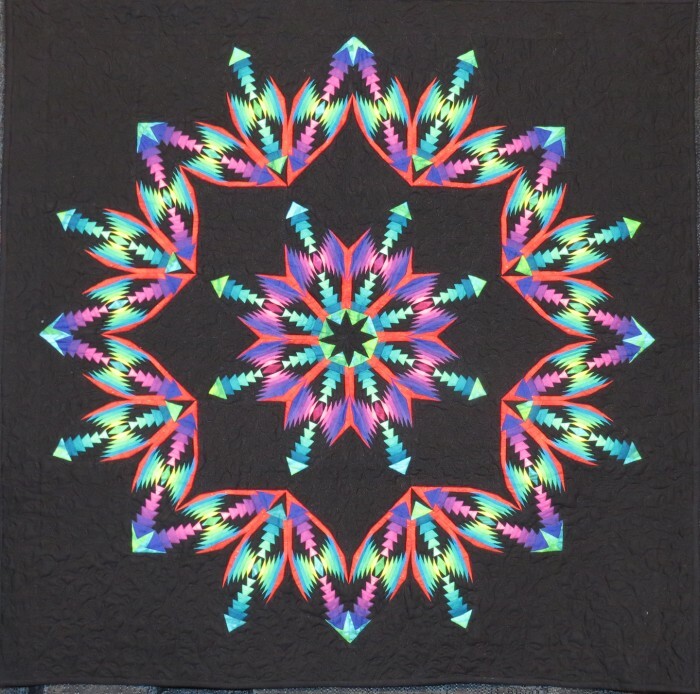 Marilyn is well-known in the quilting world for her incredible machine quilting (watch for a future post all about Marilyn). 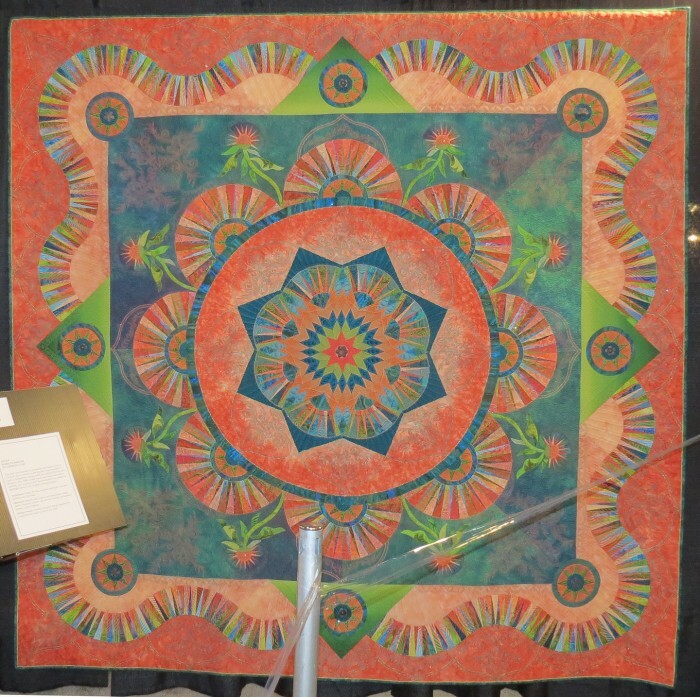 Her quilt, Eureka, won second place in the Merit Machine Quilting category at the show. 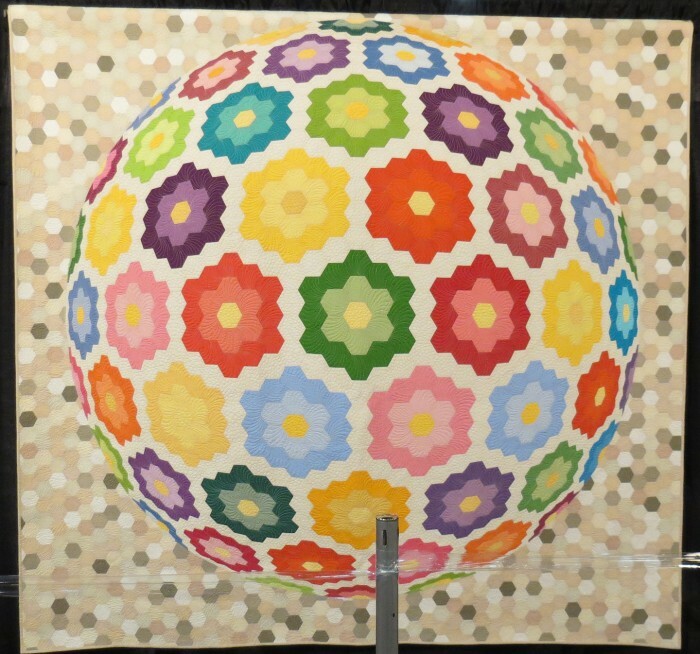 I was immediately drawn to this quilt by Geta Grama and friends. It won Third Place in the Group Quilts Category. I also believe it is the first entry that I have seen from Romania. I visited Geta’s Blogspot page and enjoyed reading about her, “I am a passionate quilter living in Romania. Unfortunately, here quilting is an unknown craft to most people. I love to share my quilts with you!” Take the time to check out her site. I know you will enjoy reading about her and her work. 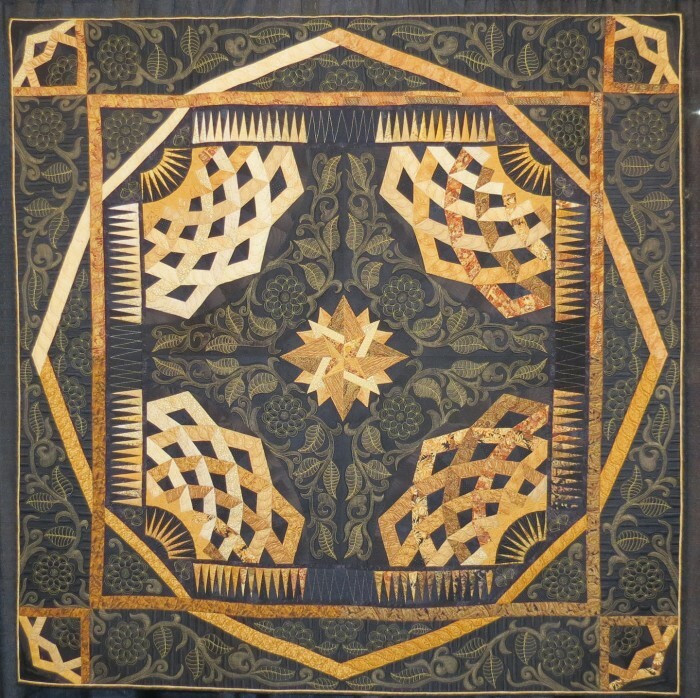 This is one of the first quilts that caught my eye. I found the detail to be extraordinary and enjoyed Ann’s use of a limited color palette that allows the more subtle painting and stitching in the background to flourish! 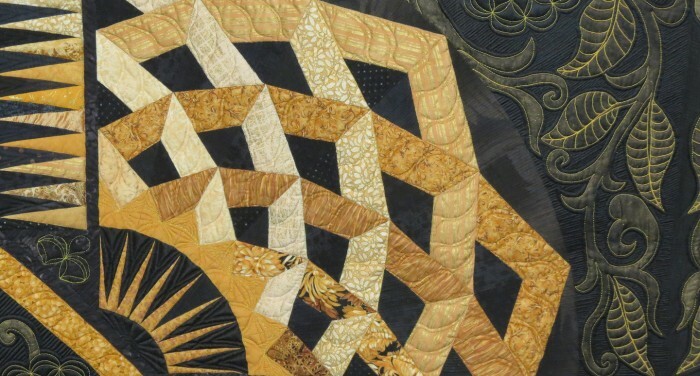 Below is a detail of the piecing on this quilt. What a great show! 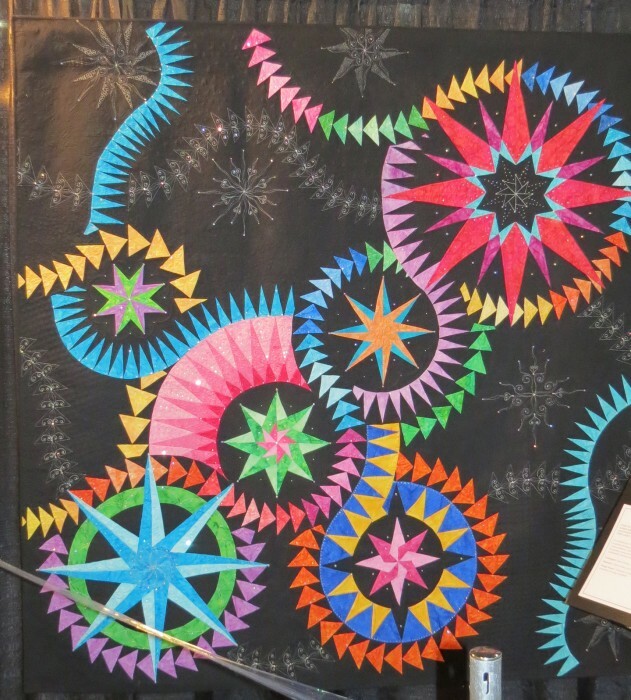 It was a privilege to be among so many beautiful quilts!